When lovers of the Kgalagadi Transfrontier Park heard that researchers and authors Gus and Margie Mills were working on a guide to the Kalahari, they couldn’t wait. After all, there are few people more qualified to write such a book than people who have lived and worked there for 18 years. 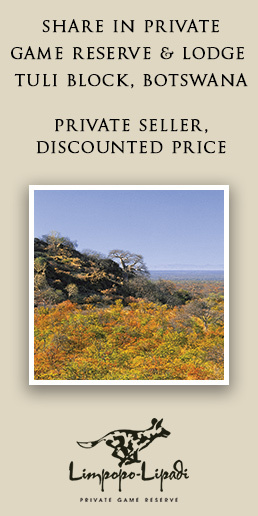 In 2010 their Hyena Nights & Kalahari Days flew off the shelves and into Kalahari lovers’ hearts. The book told the story of the couple’s 12 years studying brown and spotted hyena in the park back in the 1970s and 80s. They also became known to visitors to the Kgalagadi during their six-year cheetah research project, which ended in 2012. Their new book – A Natural History Guide to the Arid Kalahari including the Kgalagadi Transfrontier Park – is 200 pages packed with information about this ‘land of huge vistas, climatic extremes and fascinating adaptations to harsh conditions’. It covers some history about the development of the park, and describes its landscape, climate and characteristic plants. But by the main emphasis (six out of nine chapters) is on the animals that live there, from big cats, hyenas and other predators to antelope, birds and the secret life of smaller fry like rodents, amphibians and reptiles. • It’s not true that the Kalahari lion is bigger than other lions; perhaps the openness of the habitat tends to exaggerate their apparent size. • Scavenging does play a role in the spotted hyena’s diet, but in the Kalahari less than a third of their food is scavenged. • Meerkats are among the few animals that eat the large millipedes so common in the arid Kalahari after rain. The millipedes eject a defensive, repulsive fluid, but somehow the meerkats can deal with this. • Ostriches can lose up to 25% of their body weight when dehydrated, without suffering any ill effects. They can keep their body temperature normal in air temperatures of 51ºC for as long as seven hours. • Bat-eared foxes are common during high rainfall years, but disappear during dry years; this seems to result from movement into the dunes and mortality. • In recent years, the number of springbok along the riverbeds in the Kgalagadi has dropped markedly; it’s not clear whether human factors are responsible. The final chapter gives advice on getting the most out of your visit to the arid Kalahari, with tips for travelling in the park, best time to visit and some game viewing strategies. There’s also a section on the Tswalu Kalahari Reserve, since the guide’s information applies as much there as it does to the Kgalagadi Transfrontier Park. There are comprehensive lists of mammals, birds, amphibians and reptiles of the Kgalagadi at the back, while the inclusion of an index will help you find info on a particular species with as little fuss as possible. 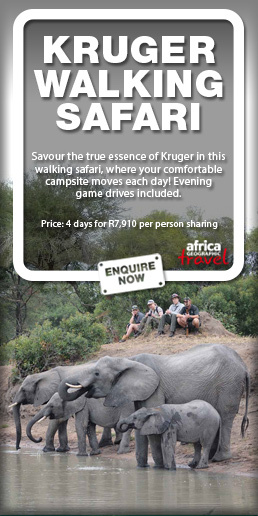 The A5 size is perfect for a field guide to take along on your next trip to the Kalahari, to dip into while you wait under a shady camel thorn or at a waterhole for some action. The Mills’ long association with the park provides insight into its animals and ecosystems as well as a number of intriguing personal observations. Whether you’re a first-timer or you’ve been to the Kgalagadi many times, you’re sure to find lots to enhance your experience in this must-have guide for Kalahari lovers. You can find the book at the shop at Twee Rivieren camp in the Kgalagadi Transfrontier Park. Or you can order it while stocks last for R165 + R25 postage and packaging (total R190) by emailing Margie Mills.